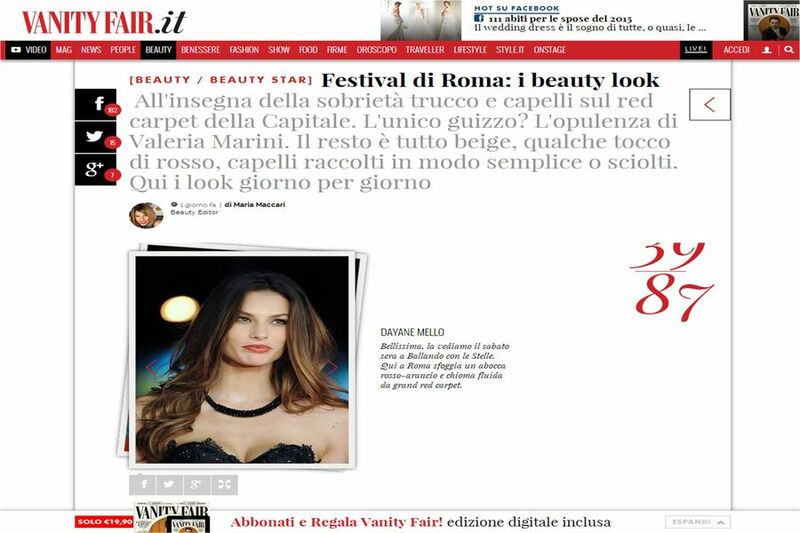 Dayane Mello, brasilian model ex fling of Mario Balotelli, currently protagonist of this edition of "Ballando con le Stelle" show, together with the dancer Samuel Leron, walked across the Red Carpet of the film "Still Alice" at the 9th edition of the Rome International Film Festival. Her appearence was gifted by an exclusive dress designed by Guillermo Mariotto, creative director of Maison Gattinoni. The black laced dress, with its transparencies, earned and enormous success on the film's Red Carpet starring Clive Owen, emphasizing her femininity.